Ask any blogger you know about fiverr, and You’ll come to know that he has seen or tried ordering a gig at least once. If not, Let me tell you a brief. Fiverr is an online store from where you can purchase Gigs to get your work done. The featuring part is that every gig is priced at 5$, so that it is cheap and well available for everyone. Individuals or organisations are allowed to create their account and showcase their gigs for free. Gigs ranging from Article writing to Video Editing and even Homework completion can be found out on fiverr. The method of payment is by Paypal or Bitcoin. Well, I am a newbie into this professional blogging world and recently I was also fascinated by fiverr’s gigs. I thought to jump into a shortcut path for improving Search Rankings and overall traffic, But then the outcomes made me realize that THERE IS NO SHORTCUT TO SUCCESS. My first gig was “BUILD 20,000 BACKLINKS IN 5$”. Wow, Any blogger would have just bought it after seeing the POSITIVE COMMENTS and the AWESOME DESCRIPTION of the gig. The gig owner had asked me for my site’s URL and other social media pages, and guess what was the result? MY BLOG FLOODED WITH SPAM. Spam comments, Trackbacks, User registrations and Mails. I was happy at first thinking that these were real. When I asked my senior blogger, Very helping Krishna Murthy. He asked me to stop the registration and comments and get those spam deleted. Other day, Some bloggers from Facebook group even asked me to disavow the site. I did not know what was DISAVOW so there are chances that even you might also be not knowing. See it HERE. I cancelled the gig immediately and googled for some more help. Well, Then I researched into this thing and found out that these gig’s owners used some software to automatically comment on random blogs with random texts and links. Even my blog had been entered into their database, so I was left with no choice but to stop COMMENTING feature for sometime. Using Commentluv did not help, But Disqus helped. These gigs are frauds and Google penalizes such blogs which use these shortcuts. Use Askimet plugin, Do not allow new user registrations and use some other commenting plugin for a better and spam free blog. There was still a problem left with Trackbacks. So, Here is how to deal with it. Here is a plugin that will get everything resolved. This plugin uses a two-step process to validate the legitimate trackback. First, It checks the user’s IP address. Second, It checks the website on which the trackback was supposed to be shown/linked to. Want to share more thoughts about this article, did you every purchased Fiverr gigs and regret after buying it. Share your story with us . Lets save others from buying spoofed gigs. 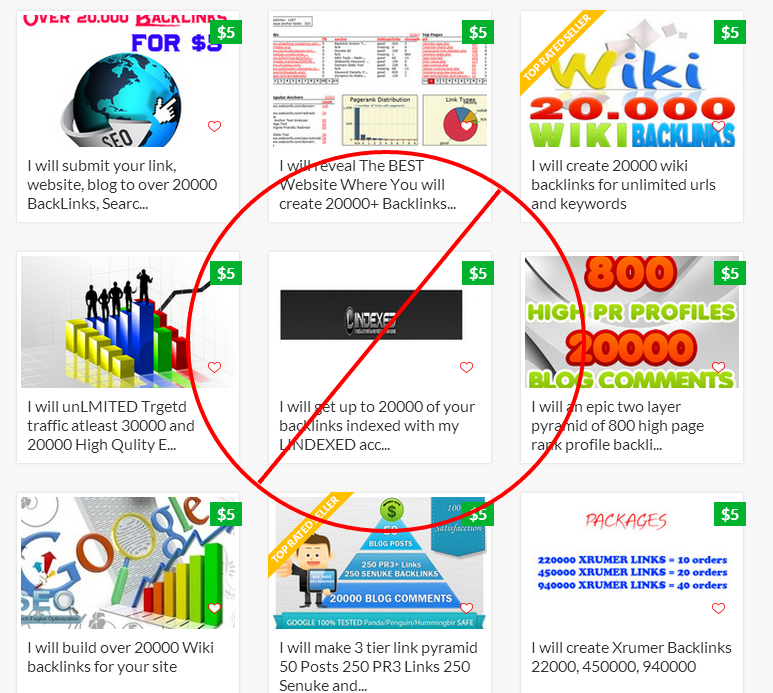 It is true that there is lot of spam link building going on in Fiverr. But there are some good one too. Fiverr is good in case you want to outsource mundane tasks like data entry. There are many virtual assistance working for $5/hr or even less. Fiverr is geting popular day by day and there is low quality gigs in less prices posted by freelancer to earn some quick bucks. But fiverr is good when we buy pro services of experienced freelancers to get best work.